Mauna Kea is a game about explorers fleeing from an erupting volcano. 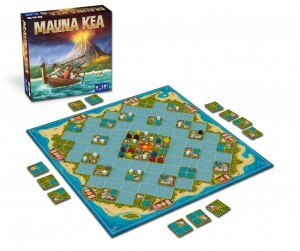 This is not a co-operative game so players will be stepping over each other to reach the boats taking all the artifact they can with them. 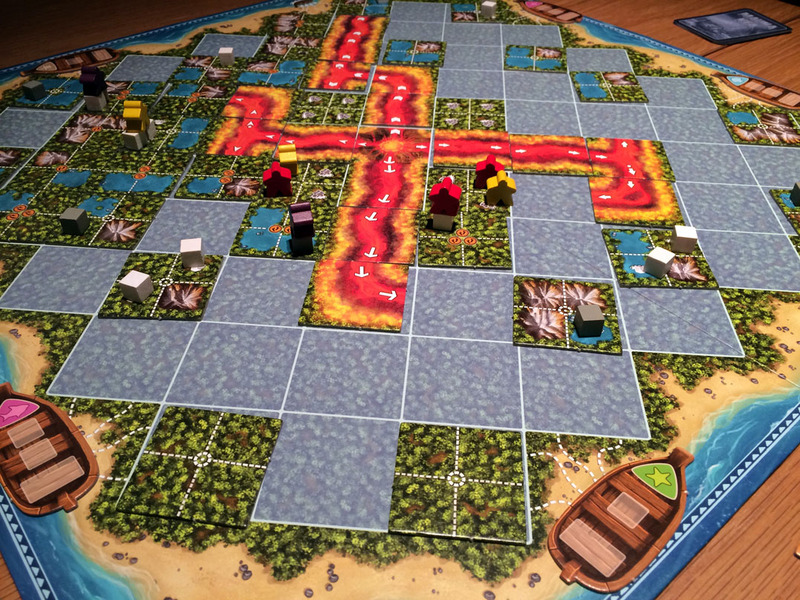 During the game, players place tiles on the board to reveal the landscape. Each tile without lava displays 4 smaller squares and these may contain artifacts (there are 17 white, 7 grey, and 1 black artifact in the game). Some squares contain mountains which blocked movement. 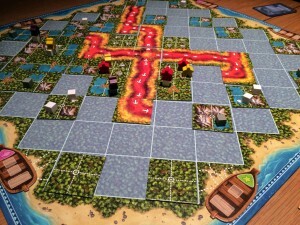 Tiles with lava are added to the matching lava flow (there are 4 different flows) and an arrow shows the direction too. Sometimes the lava flows split too.